I have made this dessert for a family Xmas party but its not been eaten yet so the jury is still out on this one! I saw this in one of my magazines and thought I would give it a go as it looked impressive but doesn’t require too much effort, I am not the best at desserts really as its all too technical for me and the ” chuck it all in” method rarely works. The dessert pictured has double the ingredients below and will probably feed about 12. Mix the cooled coffee with the Amaretto and put in a shallow dish. 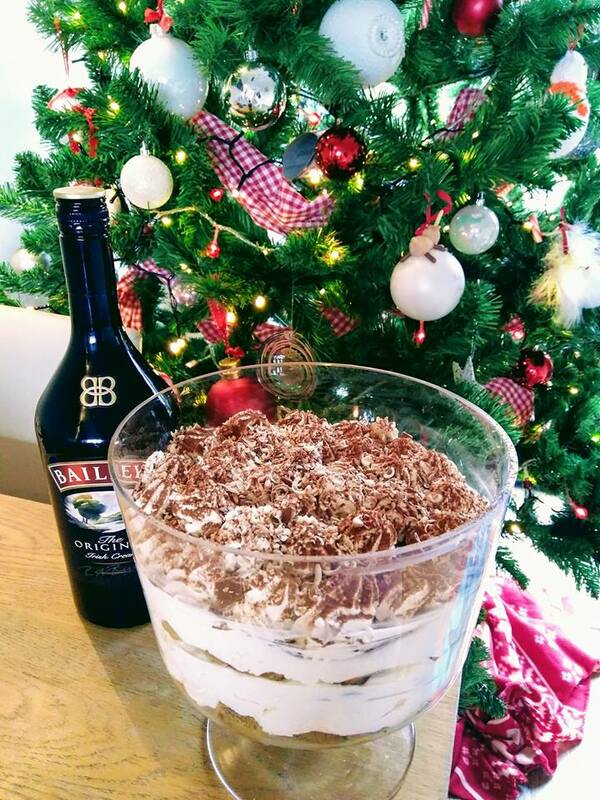 Whip the cream, mascarpone, vanilla, sugar and Baileys together until it forms soft peaks, being careful not to over whip. Dip the sponge fingers in the coffee until they have soaked up some liquid but are not falling apart then line the bottom of your serving bowl and layer with cream, then fingers then cream etc. If you want to make it look fancy you can put some cream in a piping bag and pipe blobs on top. Sieve the cocoa power over the top and decorate with the grated chocolate. For a family friendly version just leave out the booze and use decaf, it wont be as good though obviously! I think you need a lot more booze in it. It looks spectacular.